Lee Kum Kee have some of the best Chinese ingredients available in the UK. 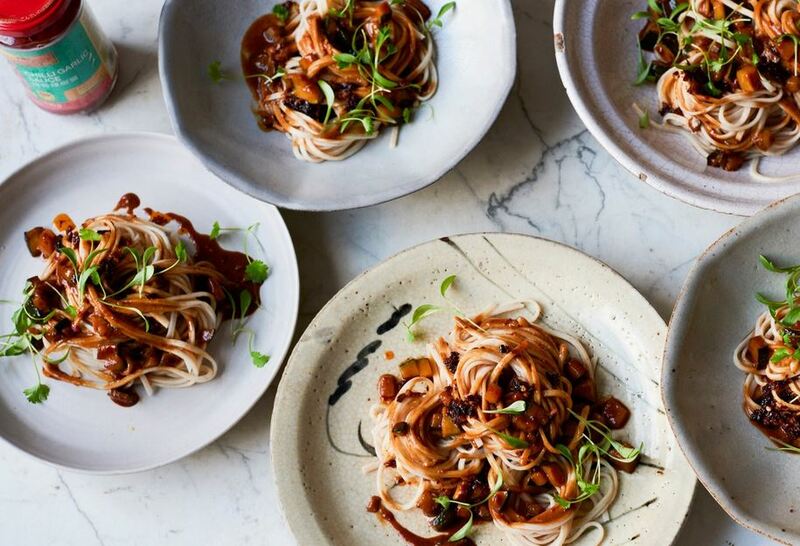 Celebrated Chef, Ken Hom, takes advantage of these vibrant flavours in his recipe for spicy Vegan friendly Sichuan Dan Dan Noodles. 1 Heat a wok or large frying pan over high heat and add the oil. Add the courgette, garlic, ginger and stir-fry for 1 minute. Add the rest of the ingredients. Reduce the heat and simmer for 3 minutes over low heat. 2 Cook the noodles in a large pot of boiling water according to the pack instructions. Drain them well in a colander. Divide the noodles into individual bowls and ladle the sauce over them. Serve at once.